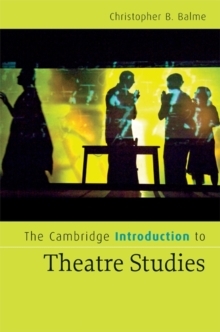 Providing thorough coverage of the methods and tools required in studying historical and contemporary theatre, this Introduction examines the complexities of a rapidly changing and dynamic discipline. 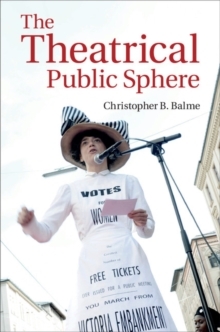 Following a cross-cultural perspective, the book surveys the ways theatre and performance are studied by looking initially at key elements such as performers, spectators and space. The central focus is on methodology, which is divided into sections covering theatre theory, historiography and textual and performance analysis. The book covers all the main theatrical genres - drama, opera and dance - providing students with a comparative, integrated perspective. Designed to guide students through the academic dimension of the discipline, the volume emphasizes questions of methodology, research techniques and approaches, and will therefore be relevant for a wide variety of theatre studies courses. Informative textboxes provide background on key topics, and suggestions for further reading are included at the end of each chapter.